Live news streams are available online from dozens of different sources, and many of them are free to use even if you have cut the cord and gotten rid of your cable or satellite television subscription. All you need in order to watch live news online is a computer, or another compatible device like a smartphone, tablet, or streaming device, and a broadband internet connection. All of the major news organizations, including MSNBC, CNN, Fox News, ABC, and CBS provide live online news streams. Some of these live news streams are totally free, and others only allow you to watch a limited amount if you don't have a valid cable or satellite television subscription. Many local stations also have their own live news streams, and these are almost all totally free to watch. International news organizations from around the world, like Sky News from the United Kingdom and NHK from Japan, also have their own free news streams that you can watch online. MSNBC allows anyone to watch free news clips, and anyone with a qualifying television plan can watch a live MSNBC news stream. MSNBC provides a live online news stream, but it is only available if you are able to provide login information for a qualifying cable or satellite television provider. Live broadcasts are available for free, but only in the form of clips that are uploaded after the actual broadcast. The latest news video will play automatically. Enter your television provider login information if prompted. The MSNBC live news stream will play automatically if you subscribe to a participating television provider. If your internet and television providers are the same, and you are on your home network, the system may log you in automatically. If you only subscribe to an internet service, but not television, you may not be able to access a free live MSNBC feed. Fox News lets anyone watch free news clips, but a qualifying television plan is required to watch live news streams. Fox News provides a live online news stream, but a time limit is imposed if you don't have a qualifying television subscription. If you want to watch unlimited live Fox News online, you need to provide login information for a qualifying cable or satellite television subscription. Fox News is only available to subscribers of qualifying platforms. If you don't log in, you will only be able to watch the live Fox News stream for a short time. If prompted, provide your television provider login information. The Fox News live news stream will play if your television subscription provides access to Fox News. If your internet and television providers are the same, and you are on your home network, the system may log you in automatically. If you only subscribe to an internet service, but not television, you may not be able to access a free live Fox News feed. Anyone with a qualifying television plan can watch a live stream of CNN from any device. Everyone else is limited to a short amount of watching time. CNN offers a live news stream that you can watch in a web browser on your computer or other compatible devices, but there is a time limit imposed if you don't have a cable or satellite television subscription. To watch unlimited live news from CNN online, you need to provide login information from a qualifying cable or satellite television provider. The latest news stream will play automatically. CNNgo is only available to subscribers of qualifying platforms. If you don't log in, you will only be able to watch the live CNN news feed for a short time. The CNN live news stream will play if your television subscription provides access to CNN. If your internet and television providers are the same, and you are on your home network, the system may log you in automatically. If you only subscribe to an internet service, but not television, you may not be able to access a free live CNN feed. CBS News offers a live news stream online and doesn't require a subscription. CBS News offers a live CBSN news stream that you can watch in a web browser on your computer or other compatible devices. The stream is free and does not require login information from a television provider. If you subscribe to CBS All Access, you can also watch a live stream of CBSN through that service. ABC News provides a free online news stream and doesn't require a subscription. ABC News offers a live news stream that you can watch from a web browser on your computer or other compatible devices. Unlike some other live news streaming sites, ABC does not require login information for a television provider. The latest news will play automatically. Many local television stations offer free online live news streams. If you're more interested in local news than national news, many local television stations offer free online streams. 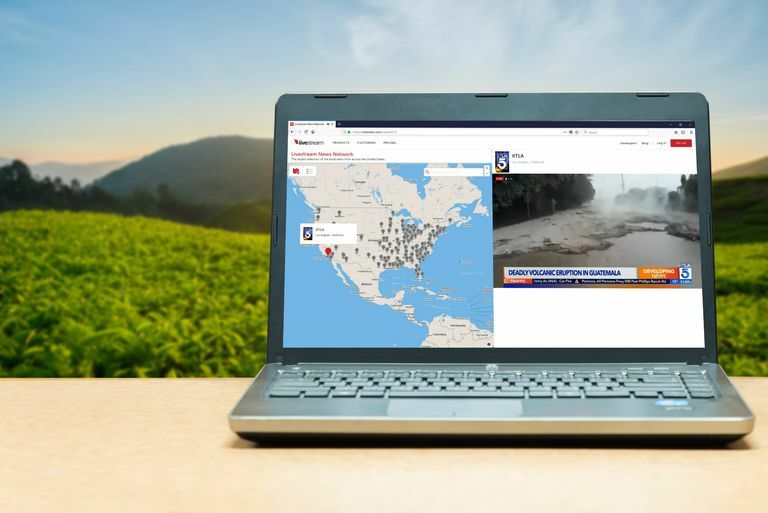 These streams often include both local news and weather, so they are a great way for cord cutters to keep up to date. There are hundreds of different local stations that offer online local news. If you already know the URL of your favorite local station, then the easiest way to get started is to simply navigate to that site and look for a live news feed. If you don't already know the URL for your favorite local station, you can find it very easily by searching for the station's call letters in the search engine of your choice. In the United States, each local television station is identified by a series of four letters that start with either K or W.
For example, the local ABC affiliate in Seattle, WA goes by the call letters KOMO. If you aren't sure what the call letters are for your favorite local station, you will need to tune in to a live broadcast on your television or perform an additional internet search. Navigate to the search engine of your choice. Type in the call letters of your local news station, followed by live news stream. Example: Type komo live news stream to locate the live news stream for KOMO News in Seattle. Locate the official site for your local news station in the results, and click it. The live news feed for your local station will typically play automatically. Aggregators like Livestream News Network allow you to easily watch live news streams from around the United States. Most national news sources require a valid subscription to a cable or satellite television provider to watch a live online stream, but local news outlets are typically free. That means local stations represent a great source for free online news streams for cord-cutters who no longer pay for television. There are a few different ways to watch local news online. The easiest is to use an aggregator site like livestream.com, which features an extremely simpler interface that allows you to select the live stream of your choice from dozens of local television stations around the United States. Click on a pin anywhere on the map. If that station is currently live, a live feed will automatically launch. Type the name or location of a station. Click on a station in the drop-down menu. Many international news organizations, like Sky News, provide free English language news streams online. In addition to live news from local and national sources in the United States, you can also watch live news from around to world to gain a different perspective on current events. Most major news organizations offer live news streams, and many of them even provide English language streams. The latest Sky News live stream will launch automatically. Click on RT News, RT America, or RT UK for live news. The latest live news stream will play automatically. The latest NHK World news live feed will play automatically. The latest English language Al Jazeera news stream will play automatically.